Our Personalized 12oz Coffee Mugs are sublimated with permanent ink for a rich colorful finish that will resist fading. The coffee mug holds 12oz of hot or cold liquid. 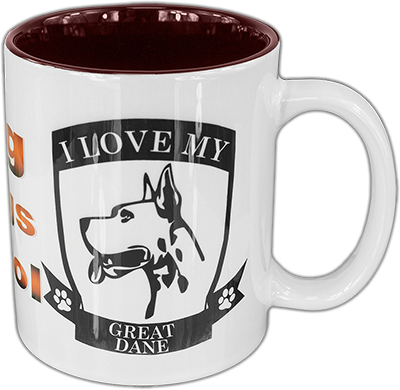 You can choose your favorite breed and customized text to be displayed on the mug. Your breed will be wrapped around the mug and placed in front and back with your personalized text in the middle of the coffee mug. This coffee mug makes a great show piece for your breed and can also make a great personalized gift!